I coach highly motivated ministry leaders and leaders of not-for-profit organizations who feel challenged beyond their current internal and external resources as they strive to provide the effective leadership needed in their setting. Leaders who have invited me to walk alongside them as their coach have discovered answers and gifts they didn't always realize they had and a supportive and encouraging yet challenging relationship that allows them to not only determine what they need and want to do, but actually take the steps that move them toward their goals. I coach individual leaders from across the country via phone and online using Zoom technology. I also coach highly motivated leadership teams who want to identify workable options that have meaning for them so that they can take their next steps with energy and passion. Teams I have coached have gained clarity about the intersection of what they most need to do and what they have a desire to do; have gained a new and/or renewed sense of purpose; have stopped doing some things that are no longer working for them; and have begun to do some new things which are making a difference in their context. I coach teams near and far in person and "face-to-face" on the internet using Zoom in individual sessions and in retreat settings. Focusing on ICF Core Competencies, I mentor coaches who are eager to deepen their coaching skills enabling their clients to achieve new multi-level awarenesses and action steps. 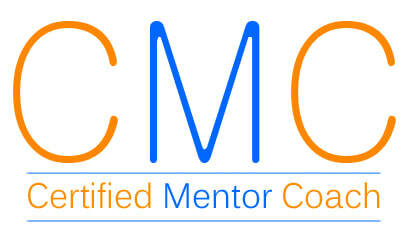 Both group and individual Mentor Coaching is available. about what I as a Professional Coach might offer you. You might also wish to check out these podcasts recorded by the Presbyterian Coach Network, www.presbyteriancoachnetwork.org, about my coaching. Based in the Rochester, NY area, I work with individuals by phone or through technology ​(your choice) from wherever you might be located.